Watch full Cardfight!! Vanguard G: Next Episode 9 English Subbed online for free in HD. Full HD Cardfight!! Vanguard G: Next Episode 9 English sub streaming online. Along with a disguised Jaime, Tokoha returns to Japan to form her team for the U20. She recruits her best friend Kumi Okizaki and Satoru Enishi, who has been working at the Dragon Empire Branch, wishing to show people the appeal of Vanguard. 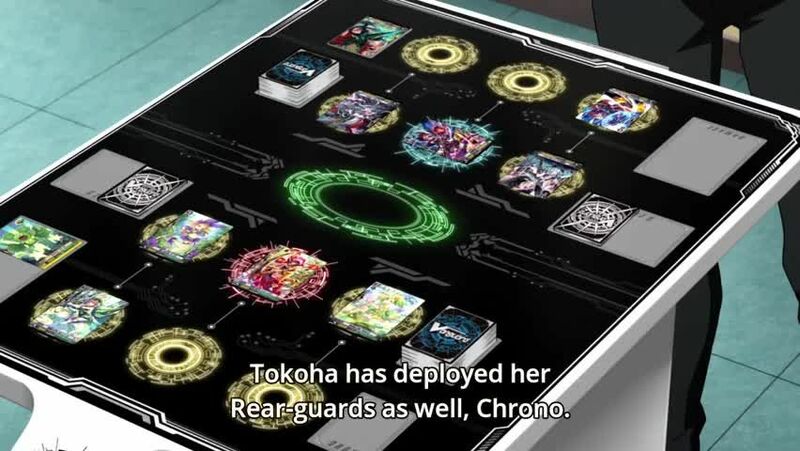 Tokoha visits Card Capital 2 where she reunites with Chrono and Taiyou and also meets Kazuma. Wanting to know more about Kazuma, she decides to have a cardfight with him. Although Kazuma tries his hardest, Tokoha manages to win. She offers him a handshake afterwards, but Kazuma refuses it and leaves, frustrated by his lack of power as a cardfighter.